Comedians Andrew Ivimey and Diana McCallum (creators of FromSuperheroes.com), break down and discuss one piece of heroic media every week, including the latest superhero movies, TV shows, cartoons or whatever else they feel like. Plus the occasional visits from nerdy guests. The From Superheroes Network launched in 2012 with our web comic, Texts From Superheroes, a comedic web comic that explores what it would be like if superheroes texted. Since then the From Superheroes brand has expanded to include every form of nerdy entertainment you may need including a YouTube channel, Sketch From Superheroes, which is all sketch comedy set in a superhero world. We also host two podcasts, Talk From Superheroes, where every week hosts Andrew and Diana dissect a superhero movie or TV show, and I Hate It But I Love It, where hosts Kat and Jocelyn break down TV shows and movies they both despise and adore at the same time. ANDREW IVIMEY: Born and raised in Newfoundland, Canada. As a stand-up comedian Andrew has performed on The Second City, The North by Northeast Festival, The Just For Laughs Festival, and can be heard nationally on SirusXM radio. As an actor Andrew can be seen on such television programs as The Beaverton and as a voice actor Andrew can be heard in advertisements as the voice of Coors Light. He is the co-creator, writer, and host of the www.FromSuperHeroes.com network. 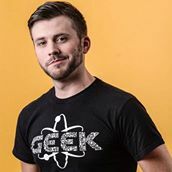 With his web comic, podcast, sketch show, and comic con appearances Andrew is a nerd and proud of it with a unique brand of geeky comedy. This stand out style has put Andrew opening for Chris Hardwick, James Adomian, Aisha Tyler, Todd Glass, Greg Behrendt, Greg Proops, and Matt Braunger. 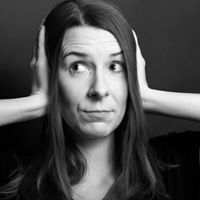 DIANA MCCALLUM: Diana is a writer and internet comedian (a job title she made but still totally applies). Along with co-creating the From Superheroes Network, Diana writes about anything of a nerdy nature for sites like Cracked, TopTenz, Dorkshelf and Bleeding Cool. On Tuesdays she hosts the Youtube show Fan vs. Fan on Dorkshelf.com, a comedic aftershow review of CW's The Flash! Her writing also appears in the Dark Horse anthology The Secret Loves of Geek Girls, available now! Support Talk From Superheroes by joining us on Patreon. Patreon is a monthly subscription service to support online content creators. Everything on the From Superheroes Network is free, and if you click that button you can help us keep it that way. Creating all this content takes a lot of time and equipment and we need your support. This is our full time job, and with more Patrons we can deliver more content and with better production quality. Become a Patron now and get cool bonuses based on your level of donation. Plus get IMMEDIATE access to the full history of posts that used to be secret. Once you've joined you get access to the full back log of EXCLUSIVE PODCASTS and lots of other great content based on your subscription level.